Are you ready to turn a great Rancho Palos Verdes, California home into your dream home? 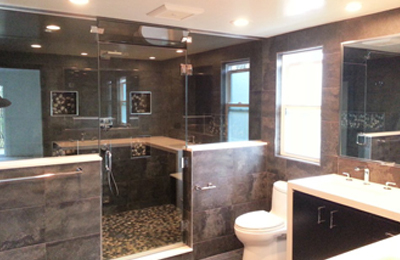 My Space Remodeling is ready too, with exceptional bathroom remodels, kitchen remodels, and room additions. Starting with our first consultation we’ll get to know you and what you’re after and can then follow through all the way to final inspections and clean up. We can even enliven your outdoor living with our experience in decks and gazebos, outdoor kitchens, and outstanding patio covers. We’re an insured and fully licensed general contractor serving Palos Verdes Estates with the full range of home improvement services. My Space is a single company that can take care of everything from kitchen cabinets and countertops to plumbing, electrical, HVAC (heating, ventilation, and air conditioning) and major construction. Along with licensed roofing professionals we have specialists in plastering, granite and marble, plastering, fireplaces, hardwood floors, wrought iron and cement work, and more. 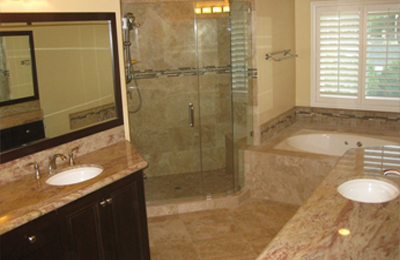 For our Rancho Palos Verdes bath and kitchen remodels and room additions we use only the finest in fixtures and materials with superb workmanship, and our experienced project managers guarantee your satisfaction. With new homes in such demand, a room addition is the natural solution when you need more space. Some of the most popular additions in Palos Verdes Estates include family rooms and home offices as well as game and playrooms. Home theaters remain popular, providing the perfect environment for getting the most out of your home entertainment system. You could recreate an old-style movie theater, or the bridge of the Enterprise. For a growing family, adding a master suite with a luxury bath is an ideal step up. 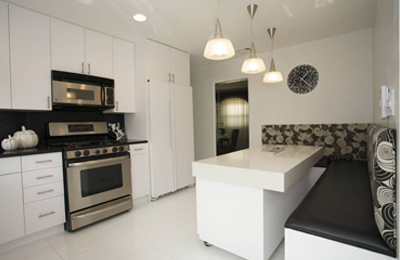 Or perhaps you’re thinking about a mother in law suite with a kitchenette. Our designers are experts in both small and large lots, and where Rancho Palos Verdes zoning permits we can design and build second story room additions. How about a sun room? Whether you’re after lots of natural light or not, a patio enclosure is a terrific way to add space for hobbies and recreation. Start looking forward to starting each day off right in a stunning (or cozy) bathroom remodel with plenty of natural morning light. And prepare to unwind in a soothing new environment. Do you love tile floors but your bare feet don’t? A heated floor will take care of that, whether tile, natural stone or exotic hardwood. Airy open showers and spacious walk-in showers with custom tile work are popular in Rancho Palos Verdes, as are jacuzzi- and whirlpool-style tubs. We’re known for our outstanding work in decorative tile, along with custom shower features such as seating and soakers. You can lounge in luxury while still conserving water with today’s innovative designs. 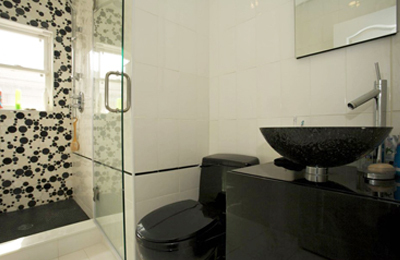 We’ll work together to create the perfect bathroom remodel with the just-right combination of fixtures and materials. It doesn’t take that many years before you’re ready for a new look in your Rancho Palos Verdes kitchen. 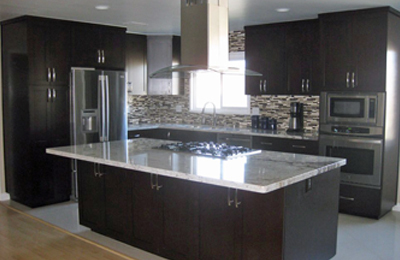 With a kitchen remodel you can make a few updates, or create an entirely new layout with a completely different style. Do you prefer a contemporary look with cozy can combine form and function with the ideal combination of materials, details, colors, features, and fixtures. You’re no doubt considering great new appliances, maybe a build-in double oven, along with new options in kitchen cabinets, natural stone counter tops, and designer sinks and faucets. But don’t forget recessed lighting, under-cabinet lighting, and special fixtures with the latest technologies. And you’ll also get to choose between traditional flooring options and the latest in new materials. If you have ample outdoor space, make the most of it! Outdoor Kitchens If there’s a chef or grill master in the family an outdoor kitchen is great for entertaining and a wonderful addition to everyday living. 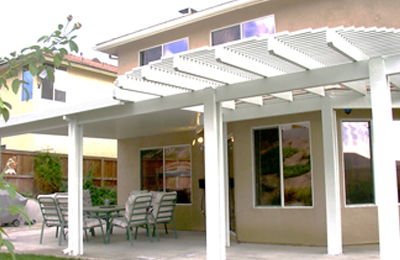 Patio Covers All by themselves top-quality patio covers extend your backyard time with shade and protection and add to the look of your home. Decks and Gazebos Working with our experts in decks and gazebos, you can create special outdoor living spaces. That could be for taking in a scenic vista, for weekend and holiday entertaining, or for a quiet and private getaway. People often ask how much a home remodeling project adds to the value of the home. With fluctuating housing markets and the wide range of styles, sizes, and grades in Palos Verdes Estates that’s really hard to say. A median selling price of $1.5 million puts the price per square foot at about $700, including land and other improvements (summer 2016, Trulia.com). But as our clients know, the real value in home improvements is the joy and comforts they provide for family and friends. You should be aware that just about any renovation in Palos Verdes Estates requires a permit, including bathroom remodels and kitchen remodels. You can find out more at http://www.pvestates.org/index.aspx?page=89. In fact, you’ll need several permits for construction, electrical, plumbing, and more. In addition to fees, that involves detailed plan submissions and reviews with respect to numerous codes and regulations. So it’s best to deal with a general contractor knowledgeable in Palos Verdes zoning and codes. That also means you’ll have a single company that’s responsible for everything. What else should you know about how to choose the right remodeling contractor? US News and World Report provides 18 tips at http://money.usnews.com/money/personal-finance/articles/2014/11/14/18-tips-for-finding-a-reliable-home-contractor. Here are a few highlights. Decide what you want, then talk to prospective contractors. You’ll be more specific and get a more accurate estimate. Look for experienced contractors who have completed projects similar to what you have in mind. 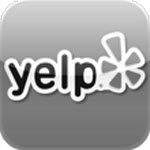 Check licenses, BBB complaints (including how they were resolved — no one’s perfect), and references. Interview at least 3 companies, ask for written bids, and then review them carefully to make sure you’re not comparing apples and oranges.